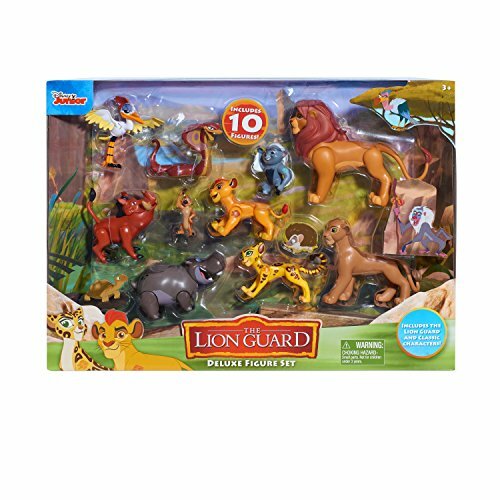 The pride lands deluxe figure set comes with all of your favorite pride land friends from Disney Junior's, the Lion Guard! with 10 deluxe 3" figures to play with, the fun never ends! the set includes Kion, Fuli, Bunga, Ono, Beshte, janja, Rafiki, Simba, Timon, and Pumbaa.